Amazon, the largest online retailer and Internet company in the USA, sells media, data, software, video games, electronics, food, toys, clothes, furniture, and jewelry. It is a big provider of cloud computing services. The company also produces readers, tablets, TVs and phones. And now Amazon sells a little robot named Echo. This little genie-in-the-bottle is summoned with the word “Alexa.” Let’s see what kind of genie it might be. The black cylinder takes natural language input so you can just talk to it. After saying the wake-up word, “Alexa” you can tell it to play music, set alarms, look up answers to questions, and add things to your shopping list. Our science fiction future is nigh and it is clear that, be it Siri, Cortana, or Nina, personal assistants that employ Linguistic User Interfaces (or LUIs) will be used to gather and present our personal information. LUIs and virtual assistants can control systems around the house like the thermostat, lights, blinds, alarms and locks (with voice authentication, of course). They can be likable, little AI companions that provide healthcare advice, offer help with history, algebra, or play trivial pursuit games. And Echo may be the hub for all that and much, much more. But I don’t think that a cute li’l buddy for the kids – or an LUI for the home – is Amazon’s plan. 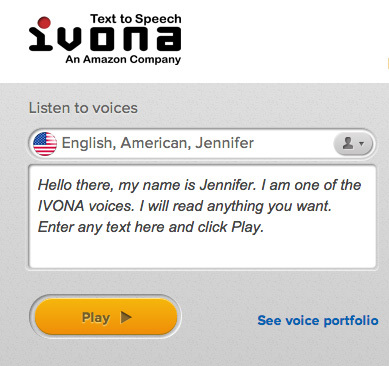 In January of 2013 Amazon purchased IVONA, a Polish company that had developed a solid suite of voice recognition and language processing tools. Since then, Amazon has upgraded IVONA’s tools and improved its code. Recorded utterances get segmented into words, phrases, and sentences. A database is then created that keeps track of pitch, duration, and tone, which is then compared to a chain of previous units. Gender, age, and other end-user data can be saved. Your mood can be measured from vocal data, as well as stress levels, sickness, and inebriation. I’m familiar with a half-dozen voice packages, such as Kaldi, or ReMeeting, that offer such services, so these features are now industry standard. 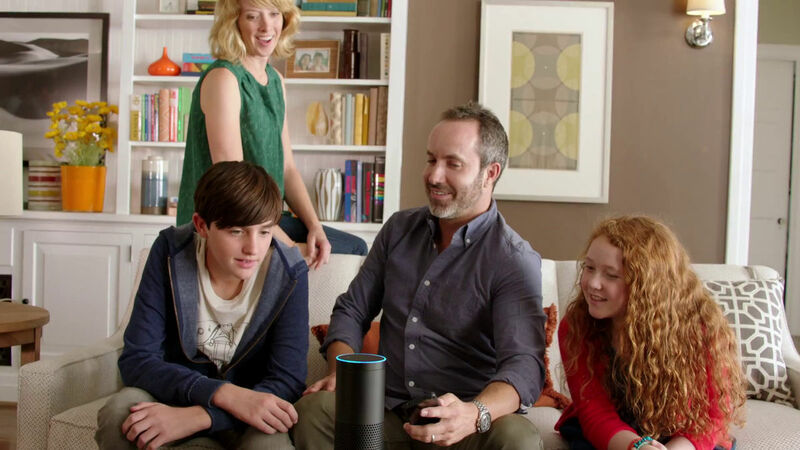 These functions are standard in the burgeoning voice recognition industry because knowing who is saying what is important, especially if you’re Echo trying to cross-reference family members. Since individual voiceprints are relatively simple to build, each person’s preference can then be managed and those can also be cross-referenced by who in the house likes what. This makes for a pretty solid sales bet for Amazon. Consider: if my wife likes peanut butter and I like jelly, then Amazon can bet we’ll want to buy bread. Echo is always listening; it has to so that it can listen for your command to wake up (and in the Echo FAQ they mention this). This means that all audio is being captured all the time, though of course you can turn the microphone off. Alexa, is your microphone on? One of the fears that are expressed in media is that this system will invade our privacy, or siphon money in ways we don’t expect, such as convincing the kids to buy stuff while the parents are out of the house. Interestingly, Amazon’s track record is a little stronger on the former than the latter. Let’s start with privacy. Circumventing browser controls and surprising users with unexpected snail-mail has been happening at Amazon since 2007. In 2008 Ariana Del Vecchio was using Amazon to buy pet-care products. A few months later she began receiving snail-mail from pet-care companies with whom she hadn’t done business. A few years later she joined in filing a class-action lawsuit, Del Vecchio et al vs. Amazon, claiming that Amazon had circumvented users’ privacy settings and sent cookies, even when cookies collecting personal information had been manually blocked in the browser. The complaint (which was amended several times) included claims under the federal Computer Fraud and Abuse Act and the Washington Consumer Protection Act, as well as several common law claims. Amazon filed three separate motions to dismiss but the third didn’t seem to go down too well with the judge, so they settled with the individual plaintiffs, avoiding the expensive class-action filing. The suit was settled out of court. 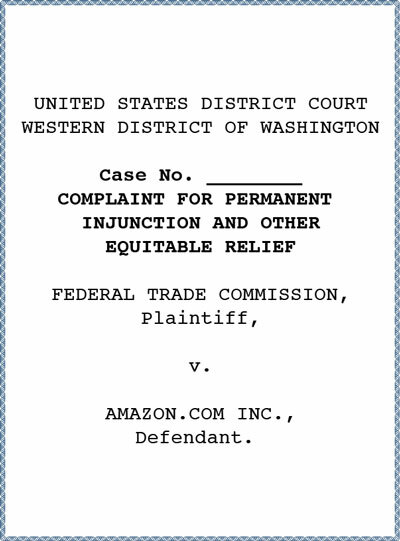 In so far as convincing the kids to buy stuff while the parents are out, in July of this year (2014) the Federal Trade Commission filed their second case against Amazon in federal court. According to the FTC, Amazon had billed account holders for millions of dollars in unauthorized in-app charges mostly made by kids without their parent’s approval. In December of 2011 Amazon employees said that allowing unlimited in-app charges without any password was “…clearly causing problems for a large percentage of our customers,” adding that the situation was a “near house on fire.” In March of 2012 Amazon updated this policy so that charges over $20 required an account owner password, (but kids could still make as many purchases as they wanted). It wasn’t until June of 2014, after thousands of parents had complained and the FTC got involved, that Amazon changed its framework to obtain account holders’ informed consent for in-app charges (on its newer mobile devices). Please note that the word “Alexa” is a surprising wake up command that is linked to metrics. Alexa Internet, Inc. is a subsidiary of Amazon, which they purchased in 1999. Alexa provides commercial web traffic data, collecting user behavior and transmitting that data to be analyzed. Alexa scoops up metrics on about 30 million websites. Oddly, you can’t delete an Alexa account that was created through a web interface, and no means of contacting the company is provided to account holders. Alexa, what are you listening for? Thus we come back to the cylinder sitting in the house entertaining the kids. Should we be worried? Privacy’s important. We already employ many devices in the home to help us maintain our privacy – blinds on the window, a front door with a lock, bathroom curtain, and pants. We all, implicitly, have private parts. And while we Americans say we like our privacy we’re concerned about losing it. According to recent research by the Pew Research Center more than 90% of Americans believe that consumers have lost control over how personal information is collected and used. But we might be okay with losing our privacy. As security high priest Bruce Schneier puts it, “We know that people are concerned about privacy but we also know that they don’t think about it when they are sharing data on Facebook because we have to socialize … People give Google their data and share on Facebook. Surveillance is the business model of the internet.” Schneier considers this profiling and has some interesting documentation about its effects. We should not be afraid of surveillant technologies, but we should be aware of their effects. Like drugs, we should be aware of the side-effects, the addictions, and the massive, futuristic benefits. After all, it is not the technology at issue, it is how it is used. And that is up to us. What, really, is the product? Is Amazon selling Echo, or is Echo selling us? And who makes the choice? For now, let’s wait and listen to what Echo’s Terms of Service has to say.